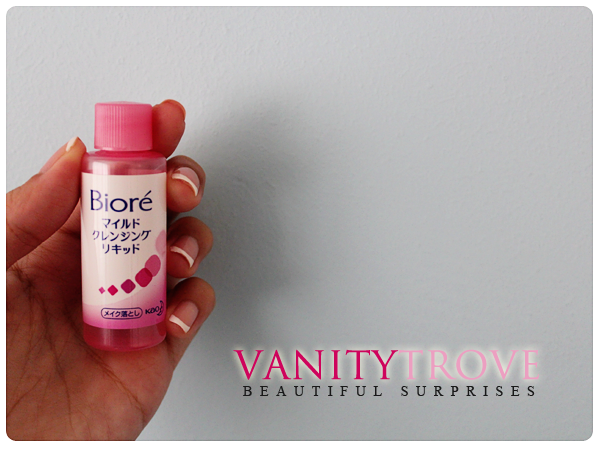 Bioré's Aqua Jelly Makeup Remover is another darling found in my August's Vanity Trove. My skin is a rather huge fan of Bioré, especially when it comes to their makeup removers and sunscreens. Previously, I reviewed Majolica Majorca Eyes Reset Gel and didn't quite like it. I thought there was too much tugging of the skin involved. So I was crossing my fingers and toes that this would work out better for me. The Aqua Jelly Makeup Remover comes with a jelly texture so that it 'glides easily on skin to remove even waterproof makeup with less tugging' (Exactly what I'm looking for! :D). It also contains 1/3 moisturizing essence to leave your skin clean, hydrated and dewy. To use it, pour an appropriate amount (2-3 pumps for the full-sized bottle.) onto hands and spread evenly on dry face and eye area. Do not use it with a cotton pad or a piece of tissue. Massage gently to dissolve the makeup and then, rinse thoroughly with water. To test the makeup removing skills, I have Etude House's Precious Mineral BB Cream, eyeshadows from Urban Decay's Deluxe Shadow Box, K-Palette's 24H Real Lasting Eyeliner (Super Black) and Shiseido's Defining Volume Perfect Mascara, theBalm's Down Boy and a random lipstick on my arm. Anyway, the jelly's scent reminds me of the Hydra-Clear Makeup Remover (Which I love to bits! ), though it is sweeter... The intensity of the sweetness is like that of cough mixture's but rest assured that the scent does not linger. The jelly has quite possibly the highest viscosity I have ever encountered for a makeup remover. But this makes removing makeup pretty fun! Haha. I feel like such a kid but fun things aside, I do feel that because of the texture, the jelly glides across my skin a lot smoother than other makeup removers. This means friction is reduced and chances of us getting pre-mature wrinkles are lowered. As seen in the above 'experiment', the jelly removes makeup splendidly! I usually use a tinted moisturizer and all I need is this jelly covering 1/4 of my cotton pad to get my clean face. 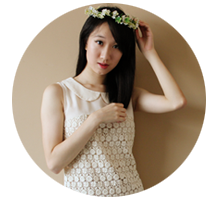 For eye makeup, I 'fold' my eyelashes up (My eyes are closed.) with the cotton pad and press it there gently, before swiping it upwards. I rinse off with copious amounts of water and the jelly leaves my skin feeling fresh and moist. I do, however, need to follow up with a moisturizer. Just like what I do with after cleansing. Haha, this is a really cute makeup remover test. I love the little face you drew!